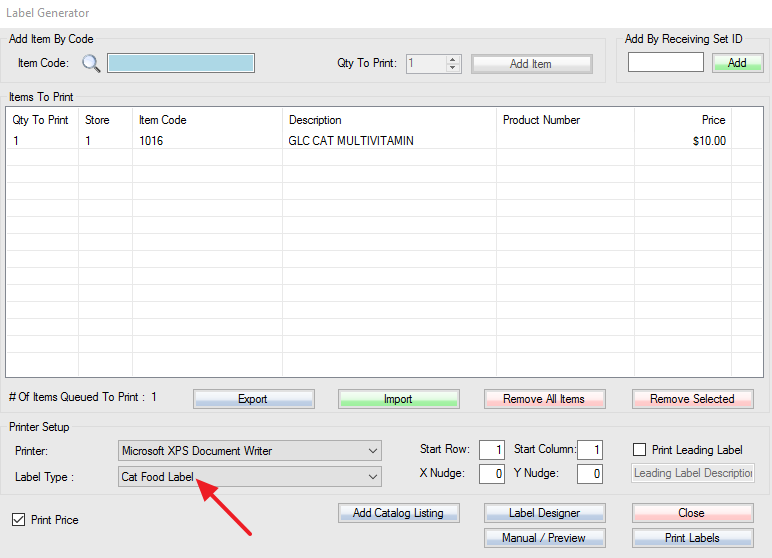 Once you create the Label Type Attribute, the name that you store in its field will be the name of the label type that will be chosen by default when printing a label for a SKU. First, go to the Attribute tab in the Setup. Step 2: Name the attribute “Label Type” without quotations. Step 3: Choose the Attribute format “Text”. 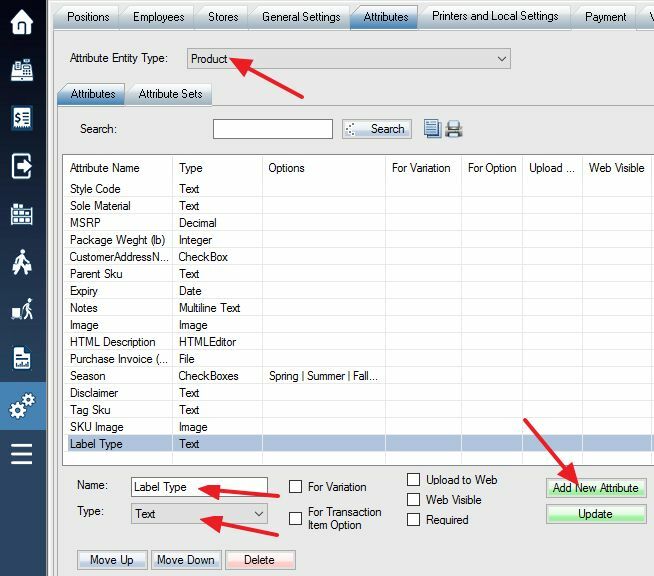 After you have created this attribute, you will want to go to the SKU which you want to enable this function for and type the name of the label type that you want to be selected by default for the SKU. Be sure to Save the SKU before navigating to another part of the software. Now when you click on Print Labels while having this SKU selected, the Label Generator screen will choose your preferred label type by default.